Linda has produced eleven books and audio resources, and countless manuals and articles in the field of volunteer program management. By Definition (1992), her book on policy writing for volunteer services is a best-seller, and her manual on screening employees and volunteers for positions of trust, Beyond Police Checks (1999), has received international acclaim as the essential source book on this high stakes topic. In 2003, Linda released her long-awaited book on risk management. Called Better Safe ... Risk Management for Volunteer Programs & Community Service, this rich and comprehensive resource has become another indispensable tool for managers of volunteers everywhere. In 2005, Linda Graff published BEST OF ALL: A Quick Reference Guide To Volunteer Involvement. This concise and focused manual is a compilation of best practices in volunteer program management, written specifically for new managers of volunteers and volunteer coordinators of volunteers in small community organizations and local branches throughout the nonprofit sector. Described as an "abundance of tips in a minimum of words," BEST OF ALL is the perfect resource for busy people who do not have the time to search through libraries of literature to engage volunteers in productive and satisfying roles. Early feedback on this new book suggests BEST OF ALL may be a perfect new text for college courses on volunteer program management. Ms. Graff earned undergraduate and graduate degrees from McMaster University. 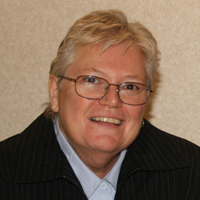 In 1989, after nearly ten years as the Director of the Volunteer Centre in Hamilton, Ontario, Canada, Linda established her management consulting firm, LINDA GRAFF AND ASSOCIATES INC., located in Dundas, Ontario. Along with her associates, she works exclusively with charitable agencies and nonprofit organizations. She currently divides her time among research, writing, and consulting projects, and the delivery of workshops around the world.